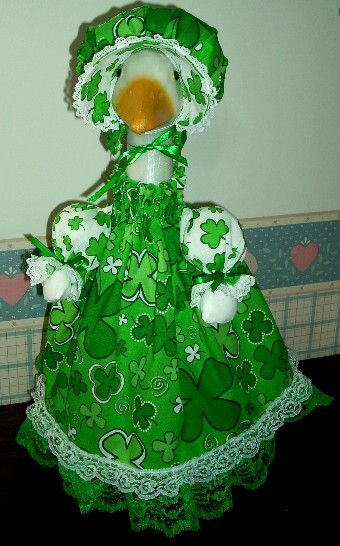 Shamrock Print Dress & Bonnet comes in the featured fabric print. The dress is gathered at the neck with a lace ruffle at the bottom. The dress comes with a matching fabric bonnet trimmed in lace. 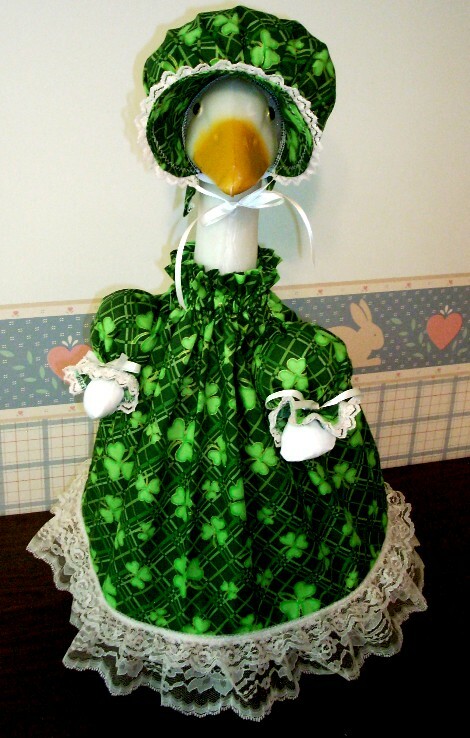 St Patrick Print Dress & Bonnet comes in the featured fabric print. The dress is gathered at the neck with a lace ruffle at the bottom. The dress comes with a matching fabric bonnet trimmed in lace. 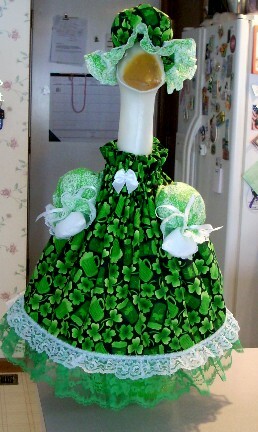 Shamrocks & Green Beer Print Dress & Cap comes in the featured fabric print. The dress is gathered at the neck and has a lace ruffle at the bottom. Also comes with a matching cap trimmed in lace. 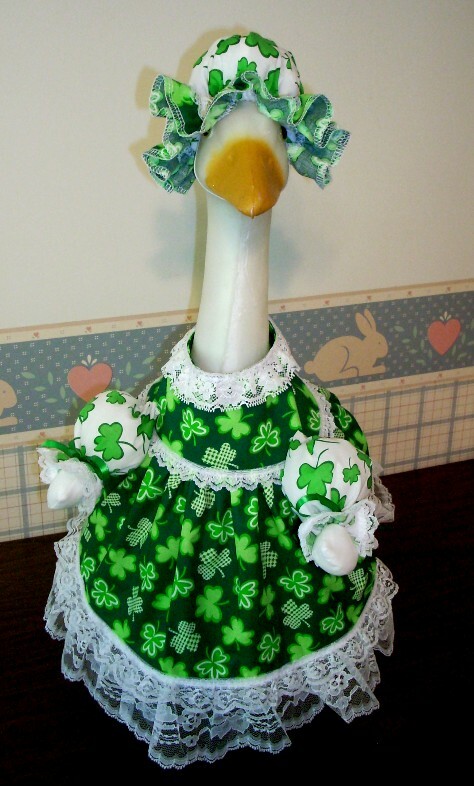 St Patrick Print Bodice Dress & Cap comes in the featured fabric print. The dress features a raised bodice and a gathered skirt trimmed with a lace ruffle at the bottom. The dress comes with a matching fabric hat trimmed in lace. 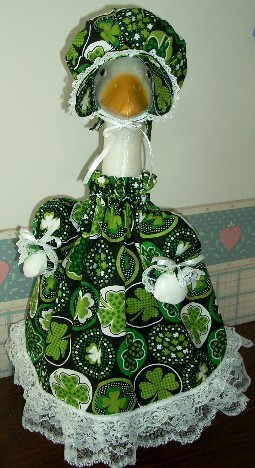 St Patrick Print Dress & Bonnet comes in the featured fabric print. The dress is gathered at the neck and has a lace ruffle at the bottom. Also comes with a matching bonnet trimmed in lace.